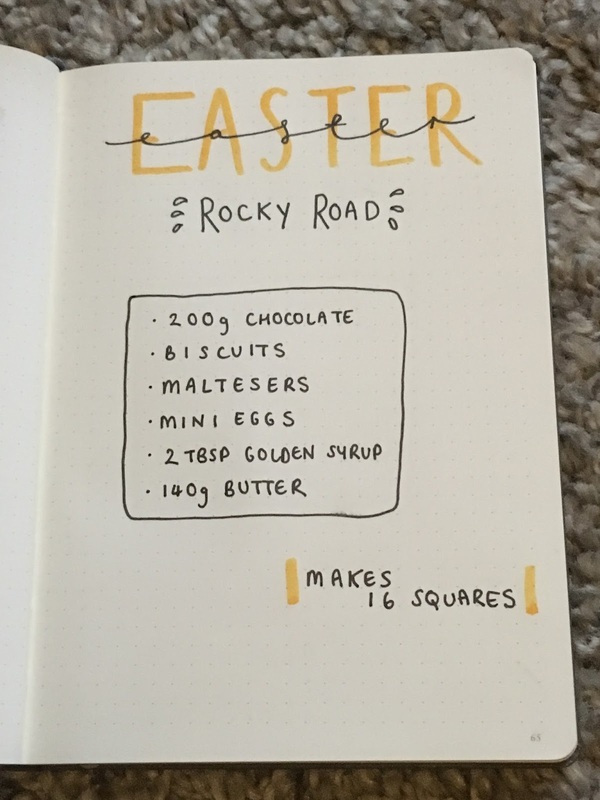 I thought you know what, it's Easter weekend and I obviously do not have enough chocolate already so I'm going to add to this by making some rocky road Easter-style. This is very simple to make and does not involve much effort other than waiting for it to set to start tucking in. 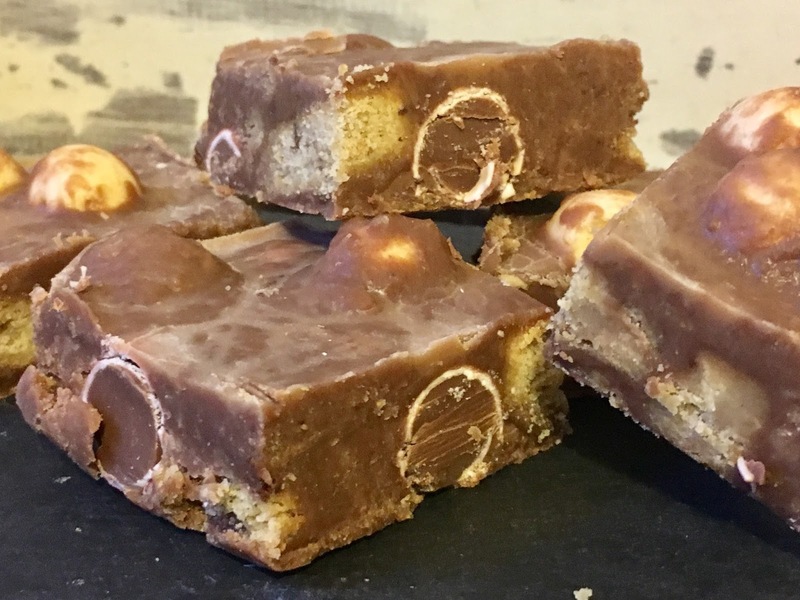 This isn't a typical rocky road as I didn't include marshmallows because Tom doesn't like them and I wanted him to be able to enjoy these too! I used up some chocolate chip cookies and I thought maltesers would go well with these and to make them 'Easter' related I threw in a pack of mini eggs, but you could add in whatever you like. And there you go! All ready to be eaten (although it may not last until Easter!) To me these were a lot more fudgey than I expected but I think this might be down to needing to add more biscuits. I thought these would be good to give as an alternative to an easter egg or as a way to use up the many eggs I'm sure you'll be receiving. As always I hope you enjoy recreating these and I'd love to know what you add for the middle! Is blogging still for me? I'll be honest with you. I'm not sure on the answer to this question. You may have noticed that I've been a bit absent on here since the start of the year, and it's been down to the fact that I haven't felt like writing a blog post and I haven't felt inspired to. I did start to wonder if maybe blogging wasn't for me anymore and whether I should give it up entirely. I set my blog up in the summer of 2014 and for the following two years I had this blog as a creative outlet whilst I read many a book (I studied English Literature) and completed many an essay (once I smashed out a 3000 word draft in an afternoon) and looking back to then I had a lot more of something than I do now: time. Sure; I had lectures and seminars but I was in as much in a week as I am in work for a day now. Now don't get me wrong, completing a degree is bloomin' hard, and props to anyone who is currently studying! but my blog became somewhere I could document my journey through my degree, and I had a lot more time to get creative. Once graduation hit and I was whirled into the post-degree life, there were massive changes happening such as moving house, starting a full time job, and having Tilly live with us. Obviously I was (and am) so grateful for all of this to happen, but even if good stuff is going on it can still be a bit of a shock to the system and a bit scary you know? 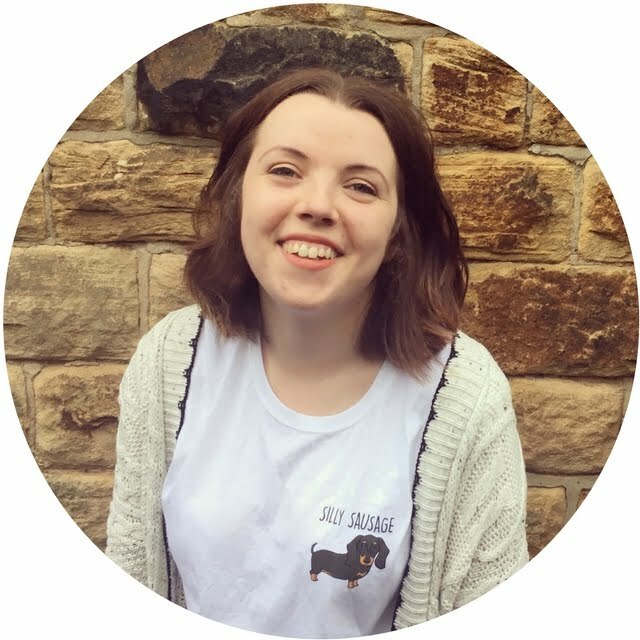 I think because I had only ever known my blog in relation to being a student, that suddenly not being a student somehow curbed my creativity with this space and I really struggled to think of new ideas and change this space to fit in with my new lifestyle. After a few months of posting here and there I decided that I wanted to get back into blogging again, and for a few months I really enjoyed posting again and thought I had cracked it. Even coming into this year I made it a goal to post at least once a week as I thought this would be feasible (lol failed there) but I seem to have hit this slump again and I'm not sure why. I don't want to give up my blog and I want to enjoy posting and find my spark again. I think I need to have a sit down and have a proper think about where I want this space on the internet to go, and what not only you enjoy reading, but I enjoy writing. Are there any types of posts in particular that you like to read and would like more of that type to feature on here? Even just writing this all down has made me feel a lot better about my blog and its future, and so in answer to my title: yes blogging is still for me but I need to work out which direction I want it to go in. I hope you've missed me (I've missed you) and so here's hoping to more (consistent) content and to me finding that spark of inspiration. Is there anything you do that you find works to get you out of a creative slump?